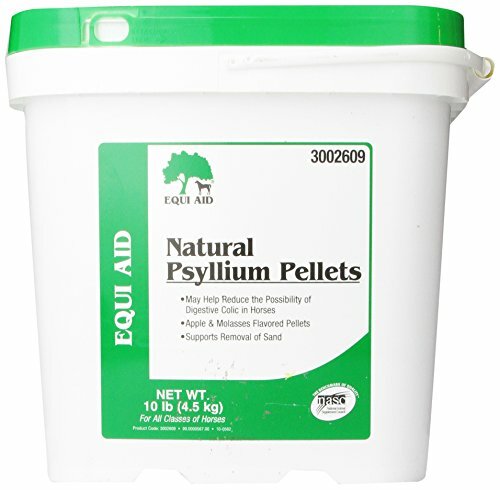 Equi Aid Natural Psyllium Fiber Pellets is all natural, 99% psyllium seed husk with 1% flavoring. A multi-active fiber to help increase ration bulk. For a 1000 lb horse give 1 or 2 scoops per day for 7 consecutive days every month. View More In Health Supplies. If you have any questions about this product by Farnam, contact us by completing and submitting the form below. If you are looking for a specif part number, please include it with your message. Kala Health MSM Powder (PurforMSM) for Animals 1-lb. MSM Made in the USA. Ideal for Small Animals (Dogs, Cats).